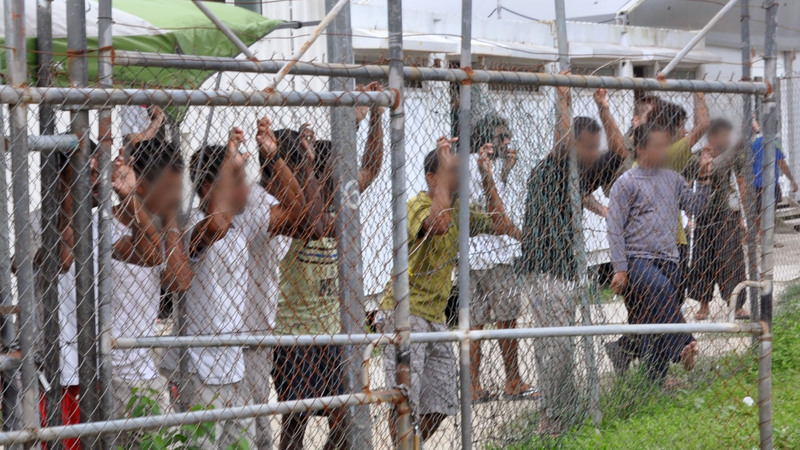 Like so many others, the detainees in the Manus Island Offshore Processing Centre watched the dramatic political events unfold on Monday night with strong interest and some concern. “Four prime ministers now in just five years,” said a dismayed Asan Ghazi. The 33-year-old Kurdish man from Syria detained at Manus with his young family told The (un)Australian he had, along with the camp’s nearly 1000 other asylum seekers, spent Monday night glued to the centre’s one television to watch Malcolm Turnbull successfully depose Tony Abbott as leader of the nation. Asked about the views in the camp over the challenges facing a Turnbull prime ministership, Ms Raman said that views in the camp were mixed, but most hoped Turnbull would prioritise fast-tracking the roll-out of the NBN so Australians could download vines of kittens being cute quicker.